Visual TFT is a standalone application used for rapid development of graphical user interfaces for TFT displays. 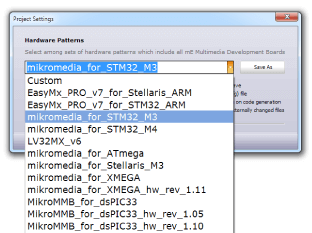 Software generates code compatible with mikroElektronika compilers: mikroC, mikroBasic and mikroPascal, for all suported MCU architectures: PIC, dsPIC30/33, PIC24, PIC32, AVR,ARM and FT90x. Software implements intuitive environment and many drag-and-drop components which can be used for building applications easily and fast. We want you to download and try out the software - FOR FREE! Even with demo limit software allows you to freely design your GUI with as many components as you want, but code generation is limited to maximum of seven components. Software is constantly improved and new funcionalities are added with each new release. Owners of compiler licenses are entitled to free upgrades, which take just a minute of your time. Visual TFT license guarantees you free product lifetime technical support, so you can rely on our help when developing. 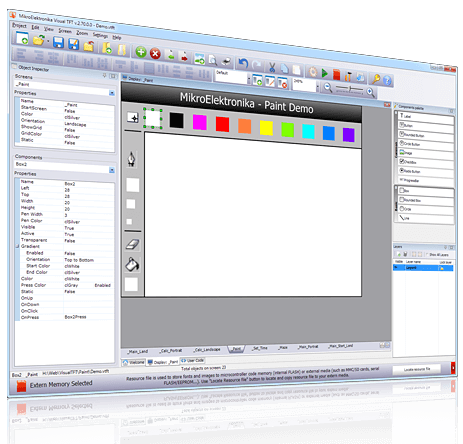 With Visual TFT you get full-featured and powerful GUI development tool, and in the same time very intuitive and easy-to-use. No other software offers so much at such a price. Visual TFT supports all multimedia boards from mikroElektronika, so you’ll have hardware you need to get started. Each board has a hardware pattern, a configuration template with hardware connections for TFT and TouchPanel, and you can do all necessary settings with a single click! 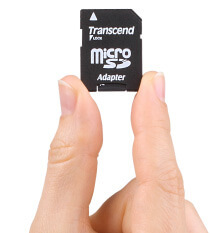 MikroElektronika and FTDI have a long history of collaboration. 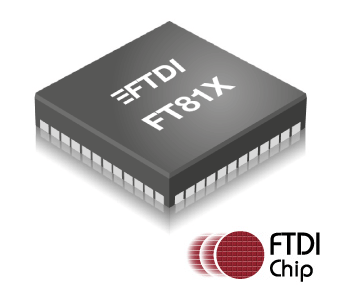 We were the first to bring support for FT80x graphic controllers. Now, we're bringing you support for FT810 and FT811, new generation of graphic touch controllers with the Embedded Video Engine (EVE) technology. The new graphics controller builds on the success of the last generation, and introduces increased pixel resolution, increased speed and larger memory capacity. VisualTFT was the first software in the world to provide full support for many of EVE's powerful features like sound, transparency and anti-aliasing. With version 4.5.0, we've added three new GUI components to let you make use of the natively supported capabilities of FT8x controllers. Namely: sketch, spinner and screensaver. EVE's object oriented approach eliminates the traditional frame buffer memory as it renders an image on a line by line basis to 1/16th pixel resolution. VisualTFT code generated for FT8xx controllers rely on libraries which have to be installed before project building. Also, make sure to update your compiler to the latest version. Visual TFT supports total of 17 TFT controllers and 5 different display sizes. Visit the Specification tab for more information. You will love Visual TFT! We in mikroElektronika always look to turn hard work into a fun experience. How? By making the hard work automatized, and leaving the room for fun. When we were in the process of writting TFT libraries, we figured that it was taking too much time to build good graphical applications, and that most of the process is not so flexible and intuitive. So we began to work on a project to build a rapid development application in form of graphical vector editor where anyone can easily create complex and fully functional TFT GUIs with just a few clicks. We now present you with the Visual TFT - the first software of this kind, where you can enjoy designing TFT applications without worrying about the code. Nobody likes complicated settings and options at the begining of each project. With new hardware templates, single click on a dropdown list item does all the work for you. Everything will be automatically set. Interface is really easy to use, and implements standard intuitive behavior, so you will feel like using any other vector graphic editors. But we have mixed functionalities from both worlds: world of design and world of programming. 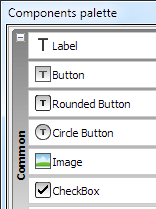 There are several pallettes of most useful components that you can use in your application. Just drag a component onto a pixel grid display screen and it will be drawn instantly. Use Object Inspector to edit component properties and to assign desired events. 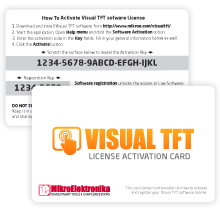 If you choose to purchase the software with License Activation Card optionyou will receive a Visual TFT box with a License Activation Card. It features product Activation and Registration keys on the back, hidden behind the scratch-off foil. SmartPhenix Store ©2019. All rights reserved.